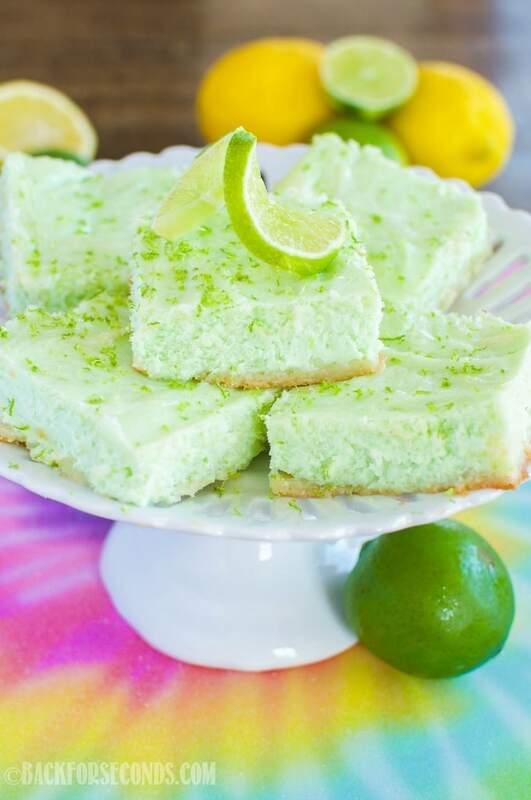 Lime Cheesecake Bars with Lemon Lime Crust make a fantastic summer dessert! 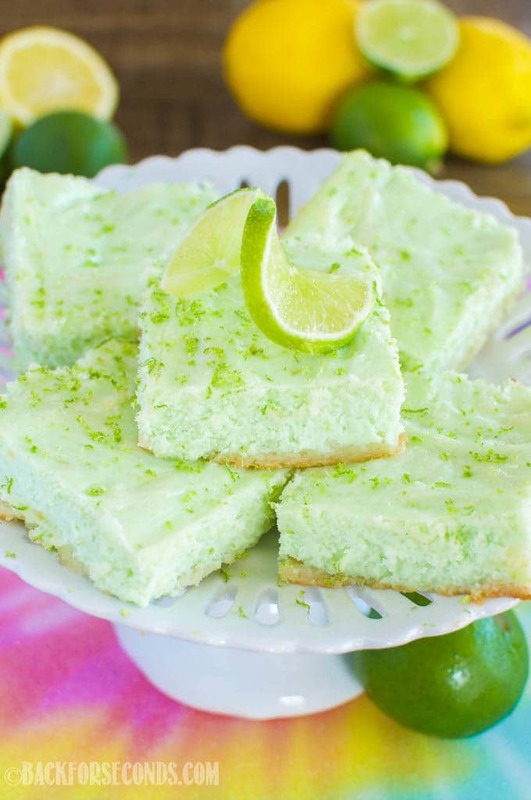 Creamy lime cheesecake is cool and refreshing – perfect for potlucks or picnics. 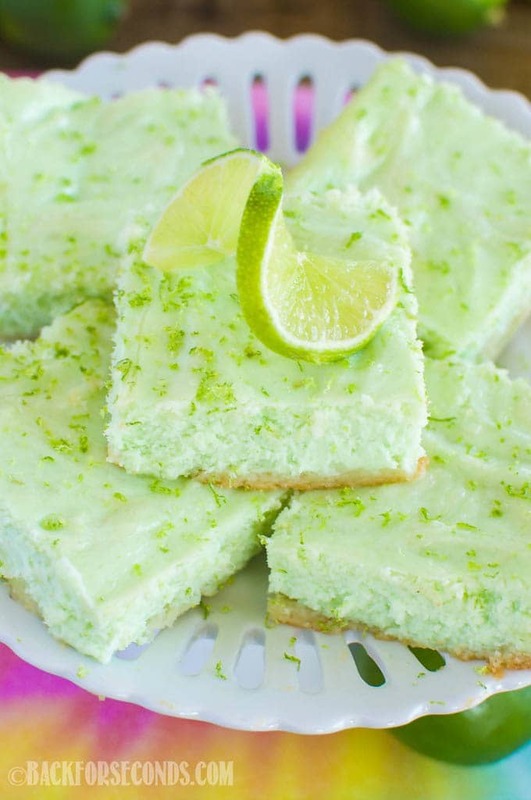 Can you even imagine a more delightful summer dessert than these Lime Cheesecake Bars? The cheesecake is ultra smooth and creamy, and slightly sweet with a nice pucker from the limes! The chewy lemon-lime crust is the perfect companion. Take a bite and close your eyes…it almost feels like vacation! My husband and daughter get really excited anytime I make citrus desserts. Lucky for them, I crave lemon and lime everything in the summer time! I’m ready for more homemade Lemon Curd, Fudgy Lemon Brownies, and Easy Lemon Macaroons! I can’t believe this school year is just about over. My daughter is the only one of our five children in school now, but next year our twin boys will be starting kindergarten. I am 100% dreading it. I am happiest when all of us are together. I love being with my little ones all day everyday. I love running errands with them, grocery shopping with them, playing hide and seek, going for walks, and, of course, baking with them. There were years when I thought I’d never be a mother, and now I have 5 precious children and I’m soaking up every minute. Why do they have to grow up? Ugh. Ok, ok. Back to the cheesecake. These bars are the reason you came here, after all! Even if you’ve never made cheesecake, do not be intimidated. These bars are super easy to make and everyone will be impressed! These are a must make this summer. Enjoy! Beautiful photo’s of you and your children — they are precious! This dessert looks very good too. These look like little green clouds of goodness!! I could eat all of them! I love how fresh and tart citrus is! These sound amazing! Those pictures are super sweet, and I have to try the bars — they look perfect for summer! Making cheesecake *does* intimidate me, so happy to see an easy treat like this one. LOVING the citrus flavors! 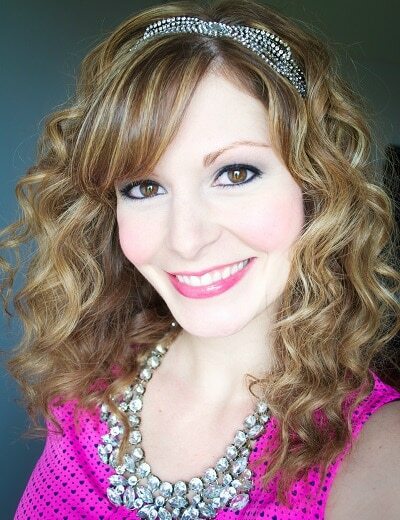 Love the photos of you and your kids! My family gets really excited about citrus desserts, too. I have a feeling they’d love this one. These cheesecake bars sound divine!! So much lime – I’m in heaven. 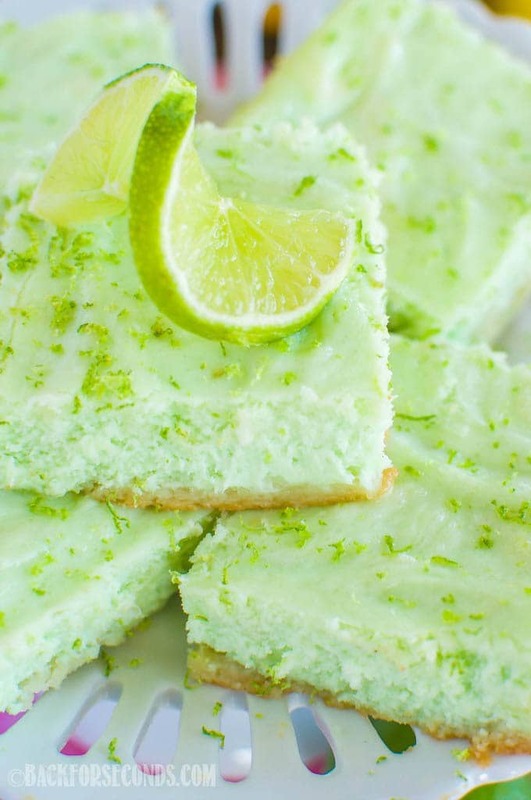 Is green food coloring used in this recipe, or is the color natural? 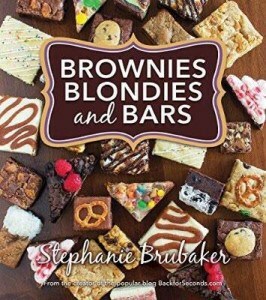 Where are the instructions for the Fudge White Chocolate Brownies?